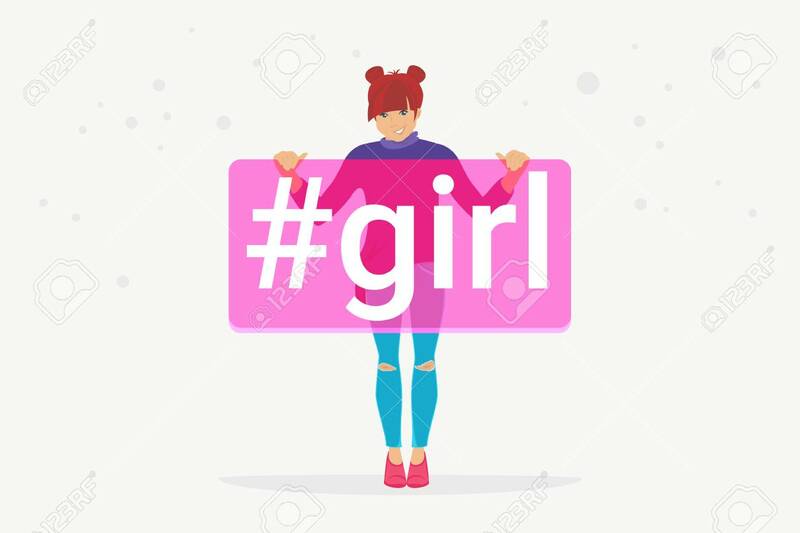 Hashtag Girl Concept Flat Vector Illustration Of Happy Teenager Smiling And Holding A Banner With Hashtag For Social Media. Positive Young Teenage Character Wearing Casual Clothes Isolated On White Lizenzfrei Nutzbare Vektorgrafiken, Clip Arts, Illustrationen. Image 116513374.